These cats are so meticulously put together that at a glance you could easily think that they are not mere needle felting creations but real cats. Hinali posts photos of her true-to-life needle felting kittens on her Instagram, and her mastery keeps surprising and exciting a lot of craft enthusiasts and cat lovers. This long-awaited first book tells you in detail how they are done, with all the secrets revealed. 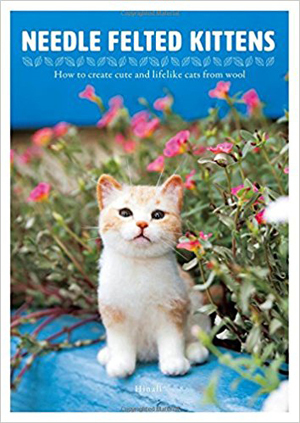 From Scottish Fold to Siamese, Tortoiseshell to White, you can create whatever cat you like with in-depth instructions and step-by-step photographs. If you can't have enough of cute kittens, create them by yourself!